Leaving St Paul, MN this morning. Next stop: Madison, WI to visit the capitol; home to major public employee union protests a few months ago. Should be interesting. Visited St Paul and was extremely impressed. City is very clean and beautiful. Toured the capitol; it is the most grand of all the capitals we have visited so far. Incredible! 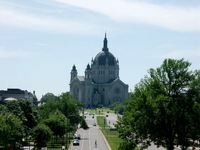 Another landmark in the city is the Cathedral of St. Paul. A magnificent structure comparable to those in Europe, just not nearly as old. Departing Sioux Falls, SD and heading to the Twin Cites. 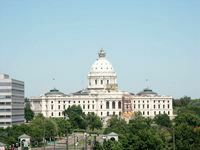 Another Capital visit in St. Paul and maybe a visit to the "Mall of America." Staying at St. Paul East RV Park (top rating from Woodalls). Upgraded to 4G MiFi when we were in the Denver area a week ago. We have not been in 4G coverage until now; Sioux Falls, SD. I must say the speed difference is incredible. So far, the upgrade was a smart decision. The only thing I have noticed is the battery life is not very long. But, we keep it plugged into the charger so it is not a big negative. I'll have to time it when I get a chance. 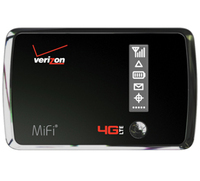 Overall, my experience with Verizon Broadband coverage around the nation is very positive. Just signed up for TwitterFeed and testing to see where this shows up. Nice if it works like I think it should. This should post to Twitter, LinkedIn and Facebook. Nice application.